Hunstpill Crowns Football Team, play in Bridgwater and District league, in Somerset, on Sunday morning. Their home pitch is at New Road, East Hunstpill, next to the primary school. However they consider their home base to be The Bason Bridge Inn, at the top of the village. The Club was formed in 1993 by a group of players from East Hunstpill F.C (a very successful team) who broke away from EHFC, but despite never reaching their heights, outlived them, as they folded in 1996. Anyone can play for Crown FC, Pllayers from 16 to 57 years old. 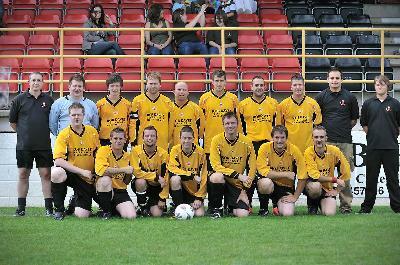 Players don’t exclusively come from East Hunstpill, however the core of the club is from the village - including ex players whose input to HCFC is vital, using their experience, contacts and fundraising ability. They are not just about football, sometimes they also hirie mini bus to Bristol or Taunton for a meal, a show at a comedy club or just for a drink. They also have a presentation night each year to hand out trophies to the great, the good and the deserving. However they also have other evenings where club fundraising is the main objective. These can be in the form of skittles night, ferret racing, quiz & bingo nights etc not to mention any charity events! We now have 2 teams playing, so plenty of space for new players- Huntspill Crowns and Huntspill Crowns BPH. 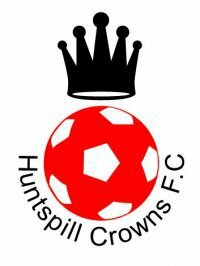 The new Huntspill Crowns BPH has been formed to accommodate all the young local players coming of age! this is just a snippet of information about them.